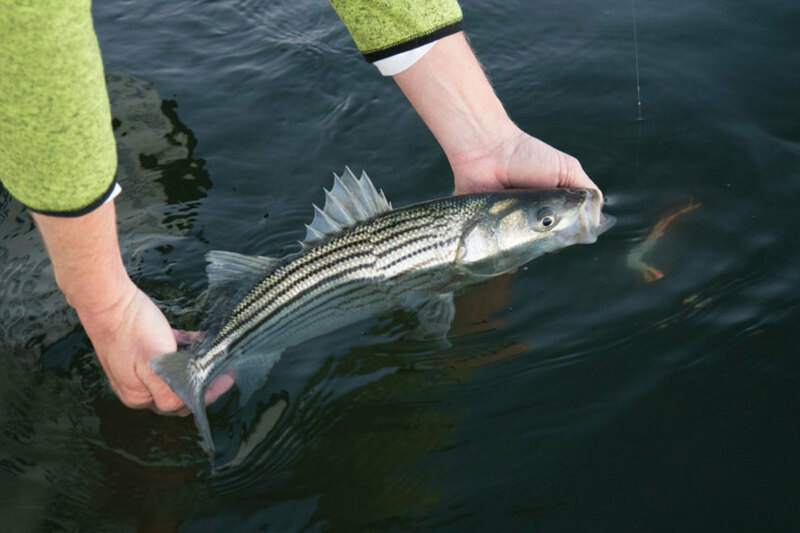 While most folks hunt trophy-sized fish, there are plenty of smaller stripers around. There’s something tortuous about magazine deadlines. As you read this in print, it’s likely mid-March, and spring is right around the bend. As I write this, however, it’s snowing lightly and the local creek down the street from my Annapolis, Maryland, home remains frozen. 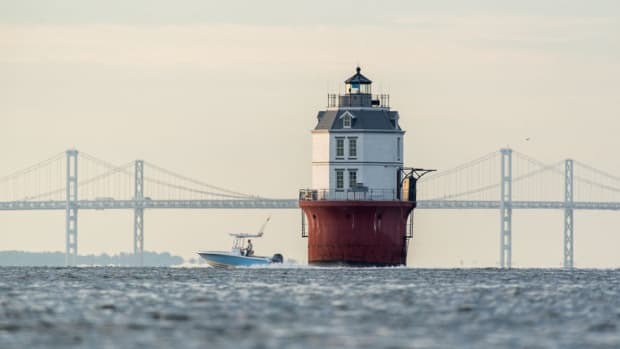 Still, there’s much to look forward to when the sun begins to warm Chesapeake Bay waters. Aside from the blooming crocuses bursting from my unkempt landscaping, the earliest and most reliable sign of better boating weather is the winged arrival of osprey. 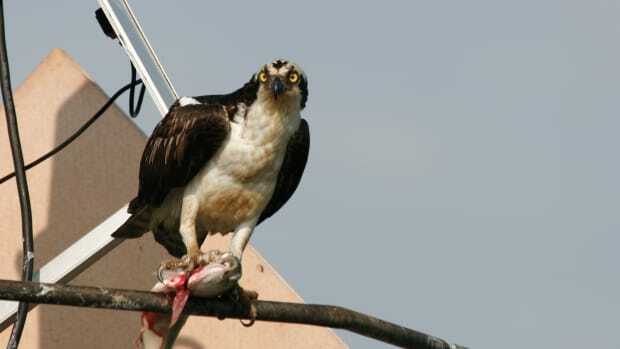 These fish hawks will be fresh off endurance flights from South America when they start landing on the Bay’s aids to navigation, right around the time folks are downing green beer on St. Patrick’s Day. Attached for life, osprey couples quickly get to gathering branches and setting up house for the two or three chicks that will pop their eyes above the edge of nests in early May. During the summer, their parents perform entertaining aerial stunts, hovering hundreds of feet in the air before crashing, talons first, into the water for unsuspecting fish. I can see them hovering from my patio. Also, there’s nothing like motoring out the channel for the first time each season and being scolded with their high-pitched screeching. In April, love on the fin is underway. 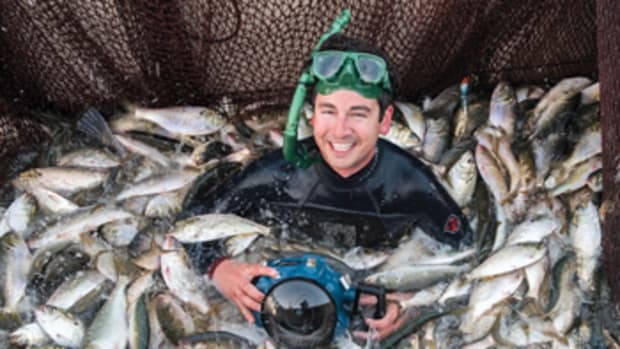 Chunky cow striped bass loaded with eggs arrive by the tens of thousands, dutifully headed for the Bay’s tributaries to spawn. Thousands of anglers pursue them with trolling rods and planer boards, running as many as 20 rigs from a single boat. 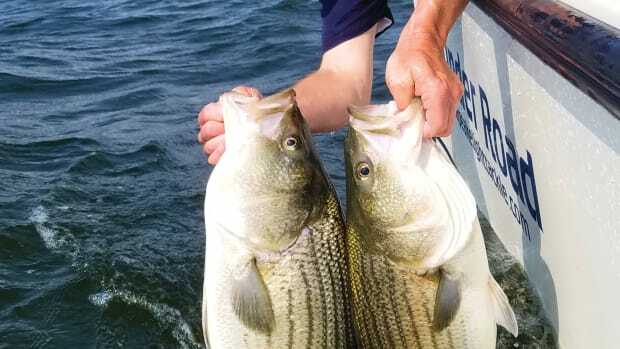 Opening day of striped bass season also unofficially kicks off the boating season. It’s a day to blow out the accumulated cobwebs from the boat’s long winter nap. Folks like me, who don’t enjoy trolling, can get in on some amazing striper action during the catch-and-release season with fly rods and light tackle on the Susquehanna Flats. 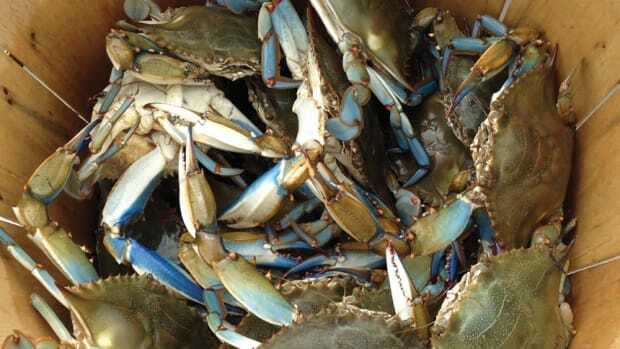 As the wild-oyster season begins to wane — along with my world-famous oyster stew, oysters Rockefeller and broiled oysters with country ham — the Maryland blue crab season kicks off on April 1. Having been buried under the thick Bay mud for months, these cantankerous crustaceans begin to look for food as the water warms. 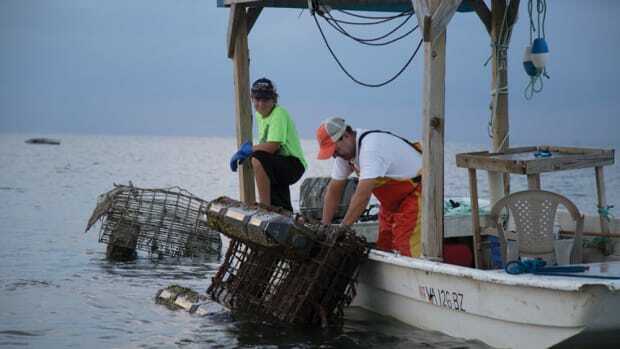 Though it will be a couple of months before my neighbors and I drop our trotline to catch crabs for the table, the commercial guys set right to it. 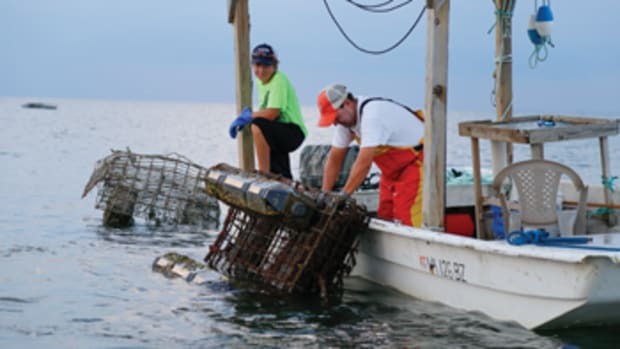 That means no more pasteurized, canned jumbo lump crabmeat; it’s time for the fresh stuff. Once crabs get to moving around, they’re often anxious to shed their shells. Chesapeake watermen target these “peelers” on grass flats with scrapes and bank traps, then place them into shedding tables. The crabs walk around until they cast off their old shells and become soft crabs. These require around-the-clock attention because they begin to harden the moment they’re out of their old shell. Attentive watermen scoop them up and layer them in eel grass for shipment. Dusted in flour and fried in a skillet of butter, they are absolutely delicious with tomato, lettuce and mayo between two pieces of bread. 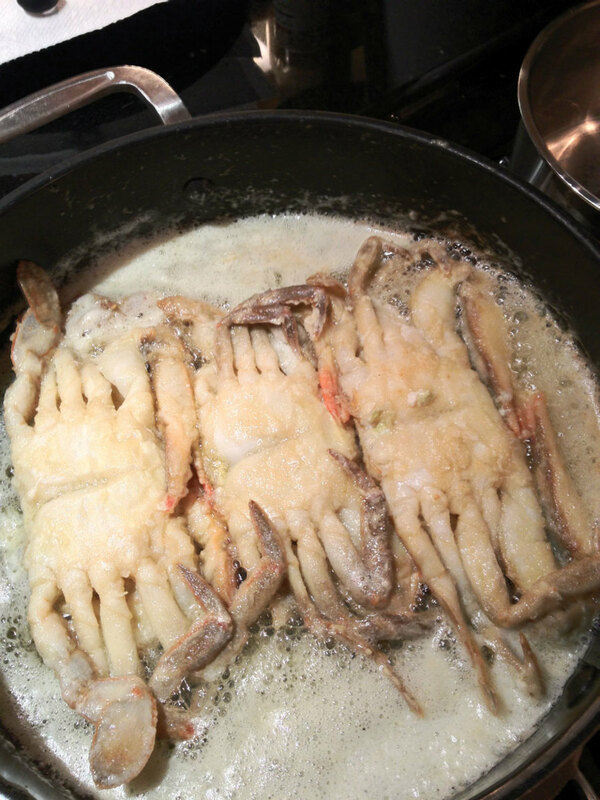 They might look like spiders, but soft crabs sautéed in butter are about as good as it gets. As colorful winged winter visitors — Canada geese, snow geese, buffleheads, hooded mergansers, snow buntings, horned larks — start to depart for the Arctic, even more colorful species arrive in April to replace them (or merely fly through). It’s one of the best months to seek out one of the Bay’s many wildlife refuges, management areas or local parks. With binoculars, you can watch ruby-crowned kinglets frolic among the newly budded branches; palm, Tennessee, hooded, yellowthroat and pine warblers plucking insects from golden marsh grasses that are slowly transitioning to sweet green; and red-winged blackbird males puffing up their feathers and showing off their new red patches. It’s a sight to see, even if you’re not a bird nerd. Though I’m currently without a boat, I enjoy taking an April weekend to walk through our local yards, catch a whiff of fresh bottom paint and talk to friends about what’s going on with their boats. Inevitably, someone is working on a long-put-off project that involves sanding, some sort of coating, beer and cussing. Misery loves company, and I find that the April scene in our local boatyards is about the most enjoyable camaraderie you can find all year long. Plus, there’s nothing quite as satisfying as watching your rig go back into the water with a new coat of antifouling, freshly waxed topsides and a clean prop. By the time April winds down, most folks have their boats in the water, and the winter neglect around my house becomes woefully apparent. 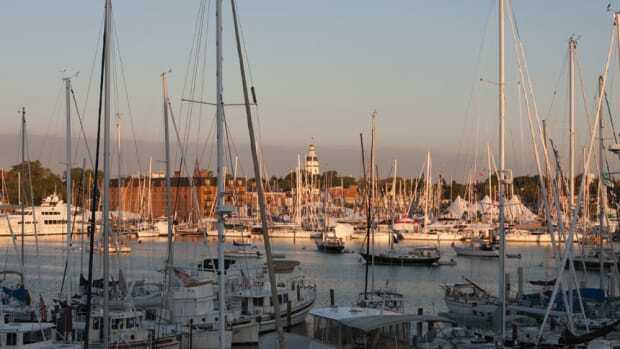 That’s when soft crabs, bird watching, boating and fishing take a back seat. Though the reality of the situation is painful — really, it is — yardwork gives me a chance to watch ospreys fly and listen to the sounds of ships and boats making their way up and down the Bay. Winter has left the building, and it is glorious.